There is nothing more rewarding than unboxing your brand new Rolex Submariner replica. It is the watch model you have been wanting for some time and now it is finally yours. The details, the finishing, the weight and feel are 100% authentic. You simply cannot believe that it is a replica. It sounds too good to be true, right? Well, it can be true if you are one of us, one of the watches aficionados that invest time and attention into the process of ordering a replica watch online. And it all begins with finding a reputable Internet store. So what are the trusted e-shops and how we can recognize them? Continue reading this review to find out how you too can become an expert at separating the serious merchants from the shady ones. Today we will take a close look at Replica-Watches.cn. This online replica store is completely unknown to me. I have never ordered anything from this place and I don’t yet know someone who did. If you can help us out with some piece of information about its products and services we would greatly appreciated it. In the meantime let’s continue our thorough investigation and find out if it has what we are looking for. Honestly, judging by its looks it is not the best option in town. The homepage is boring and tiresome. The first thing that hits you is the unprofessional vibe. 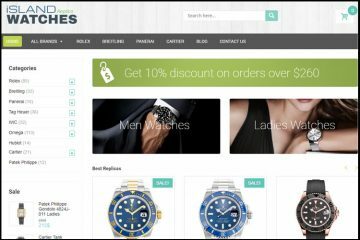 We are all used to associate the design of an online store with its ability of providing high quality products and services. If a merchant is all about perfection this is visible when you take a glance at its website. And when a site reflects mediocrity this is usually a sign that its products fall into the same category too. In this case, the homepage is plain dull. The colors used on it are purple, white and gray and the layout is somehow complex, but bothersome on the eye. The usability of the website is medium. Browsing the site and its collection is not too difficult even for those who aren’t that experienced in ordering replicas online. 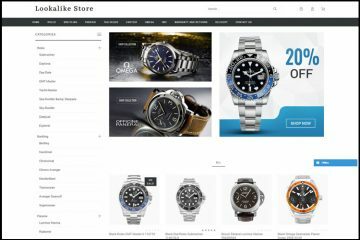 The top menu bar includes buttons for the more popular brands like Rolex, Omega, Breitling, Tag Heuer, Cartier, Audemars Piguet, Hublot, Panerai and Patek Philippe. The other brands can be accessed by clicking on the button which says “All Categories”. Here you will find over 20 replica watches brands. The really neat thing is that these brands are organized into sub-categories and this makes it really easy finding the replica which interests us. The only problem is with the wider collections like Rolex, Omega, Breitling, Tag Heuer and Cartier that include over 1,000 items. These collections are very large and organizing them into sub-collection just won’t cut it. Unfortunately, there is no Advanced Search either so if you are looking to order a Daytona you will just have to browse through all the 51 pages until you find the model you want to buy. 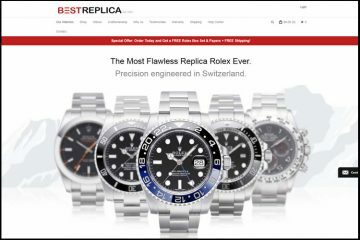 From what I can tell, this company does not sell Swiss made replica watches. Most of its fake timepieces cost about $100. They usually range between $90 and $120. This is the lower price end for Japanese movement replica watches on the Internet. For this money you usually get a poor quality knockoff that looks and functions questionably. Of course, I didn’t get to scroll through all the 5,919 Rolex or 1,501 Omega items available on this website so I can be 100% sure that it doesn’t offer Swiss replicas, but I am pretty sure that if it was selling this type of movement it would be of pretty mediocre quality. 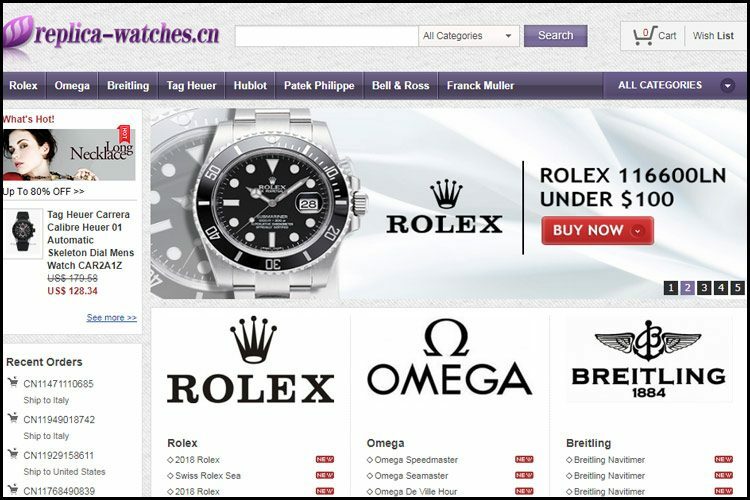 The pictures presented on Replica-watches.cn are clearly copied from many different sources. First, there are the photos that have a gray background. These come in a number of 3 per product and are of very poor clarity. These are watermarked with the name Replica-watches.cn. Second, there are the pictures with a black background. These come in a higher number, about 9-10 per product. The resolution is pretty decent. The big problem is that the name on them says Idohandbags.com. Third, there are the images that have a white background. These too come in a number of 9-10 per product and are watermarked with Idohandbags.com. So the question here is if you can trust that what you see in the images is what you are actually going to receive. The company offers two types of delivery methods. One is EMS which is a pretty famous International carrier. It usually works in close relationship with the post, but it is faster. The packages are delivered in approximately 7 business days and a tracking number is provided. This shipping method costs $20. The second choice is DHL which is worldwide known for its fast and superior delivery services. Orders sent via this company usually arrive in 3-5 business days and a tracking number is supplied. The only thing is that it is quite expensive. It costs $35. The really unfortunate thing here is that this merchant does not offer free worldwide delivery. The really concerning thing about Replica-Watches.cn is that it doesn’t say a word about its refund, replacement and repairs policies. I have search through the entire website and I haven’t found a thing about these very important parts of the ordering process. The after sales services are essential because they determine whether you will be satisfied with your order or not. If there is nothing to protect your purchase then why should you trust an online store from where you haven’t ordered anything before? What happens if you get an inferior product? In such a case there is nothing you can do. If the company does not provide a satisfaction guarantee then you are stuck with it. I guess it isn’t a surprise for anyone the fact that this company does not provide actual customer service. I mean, a Contact Form can’t be called customer service. It is a poor attempt of tricking the uneducated replica watches e-shopper. An online store needs to be able to answer its clientele’s inquiries by phone, email and chat. And everything must be done in the most professional and friendly manner. Only by providing this level of customer service you can be sure that your customers are happy with your products and turn them into returning customers. 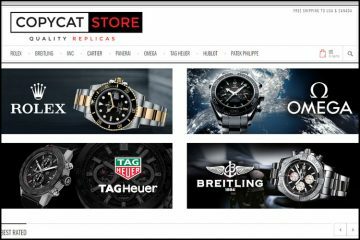 Replica-watches.cn isn’t the best place for buying replica watches online and there are numerous reasons for this. First of all, it is anything but professional. It lacks good quality customer services, its payment methods are incredibly limited, the shipping options are pretty expensive, the product pictures are unreliable and it appears to not have a return policy. The only things that might trick you into buying its products are the really large and diverse selection of replica watches and the low prices. Hi, would you please review bestreplicahk.net ? The one I received is full of bad things like the quality, the box, and the case back. You can easily know it’s fake especially from behind. What they have showed in their website is the original watch and original box. And what they sell is medium quality replica. Moreover, i discovered that the movement of the watch is Quartz not mechanical!!! This company is a scam do not order from them they never send the watch and they even have tracking numbers from their facilities in China ,they also collected more money not the initial deal ,took me a month to get my refund back and it was because my credit card was protected.I have send a letter to BBB and other agencies . GJG January 22018. I bought a watch from them in oct of 2017. In November it started running 5miuuets fast By December it was running 20 minuets fast. Tried to contact company. NO reply. Stoped wearing this piece of sh.t they tried to add more money to my charge card ,but I caught it and my charge company refunded me it back. THIS Company is a Sham. They got me once but never again. Where is best place to buy cartier ballon bleu replica? I ordered a watch although received the incorrect watch! This was about 4 weeks ago. I am still waiting to be informed of the return process.it was a replica Chopard. I wanted an Alfa romeo version received a different model ,and with the Gran turismo name. The whole point is the Alfa romeo name. Poor service and I will continue to escalate this. THE SAME HAPPENED TO ME. WHEN I ORDERED AND AFTER MY PAYMENT, THEY INFORMED ME THAT THE WATCH IS NOT AVAILABLE AND TRIED TO SELL ANOTHER. I GAVE THEM A CHOICE FROM 6 DIFFERENT WATCHES FROM THEIR CATALOGUE AND AFTER 1.5 MONTHS AND ABOUT 25 EMAILS,THEY SENT A WRONG WATCH AND NOW THEY CLAIM THAT THEY SENT A CORRECT ONE AND THEY DO NOT ACCEPT A RETURN. TOTAL FRAUD. Hi what happens after I submit a review to this site? I paid $433 dollars for three watches they never sent avoid them at all cost. You will get burned by this company once you pay they dont send the watch. I bought three watches they sent one broken watch. Thanks for nothing. AFTER PAYING FOR A WATCH THEY INFORMED ME THAT IT IS NOT AVAILABLE. AFTER GIVING THEM A CHOICE OF 6 FIFFERENT WATCHES FROM THEIR CATALOGUE THEY FINALLY SENT MY AFTER 1.5 MONTHS AND ABOUT 25 EMAILS A WRONG WATCH AND THEY CLAIM THAT THEY SENT A CORRECT ONE.